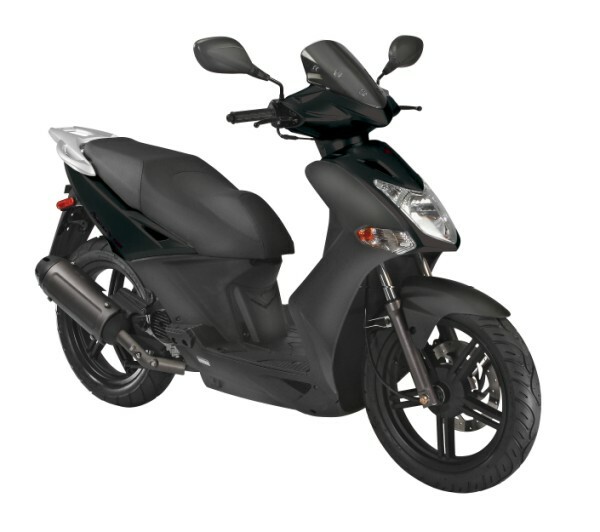 For stability, comfort and safety, this scooter has a racy streamlined long wheel base body and tall 16” wheels. 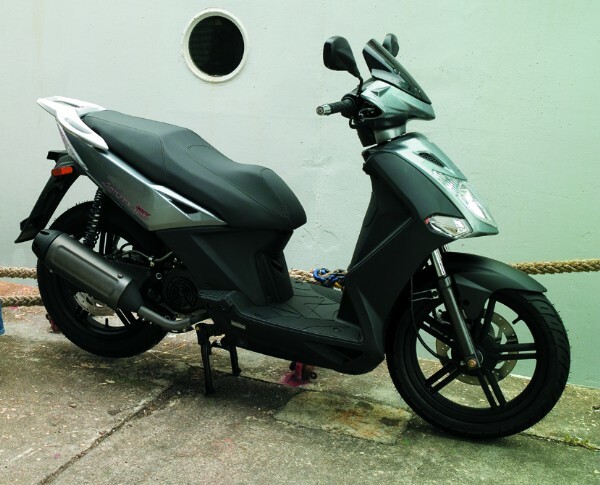 A light-net weight of just 108kg making it easy to manouver and park. 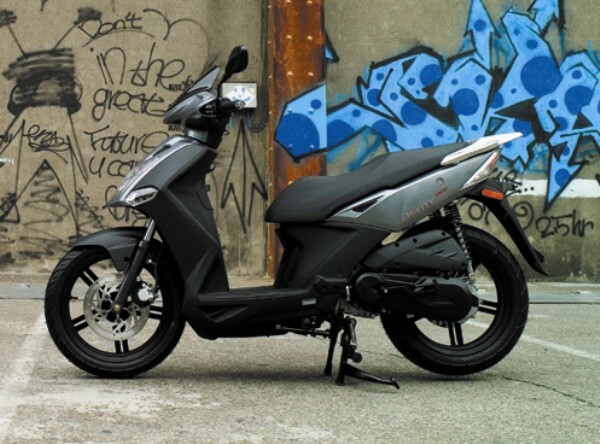 Boasting fresh modern looks, angular lines and ultra-modern matt and gloss paintwork in two-tone black, this scooter is popular choice for city commuters. 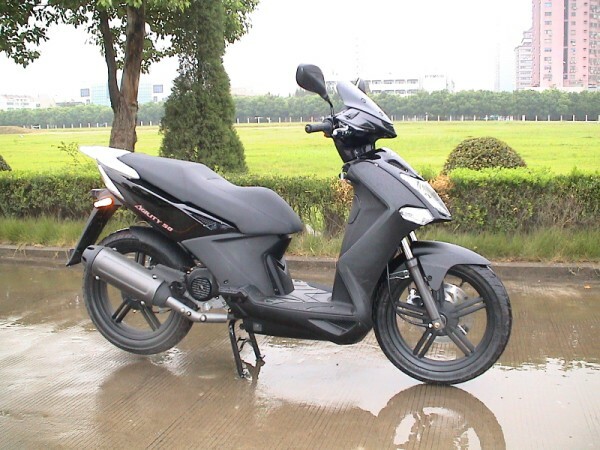 This superb city scooter is powered by the latest generation of 4 stroke air-cooled engines. 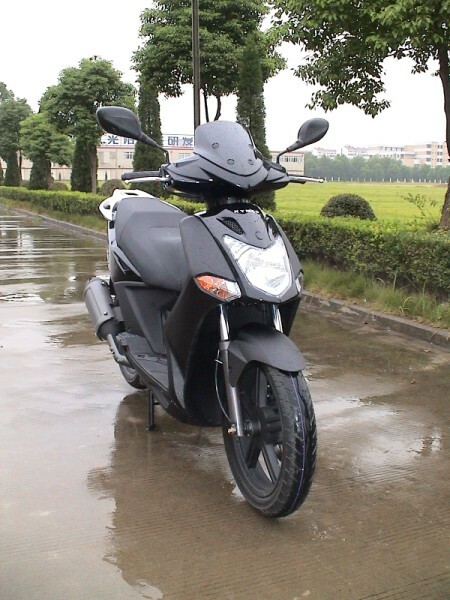 Capable of achieving in excess of 100 miles per gallon as well as producing very low carbon emissions, this bike is extremely efficient to run. 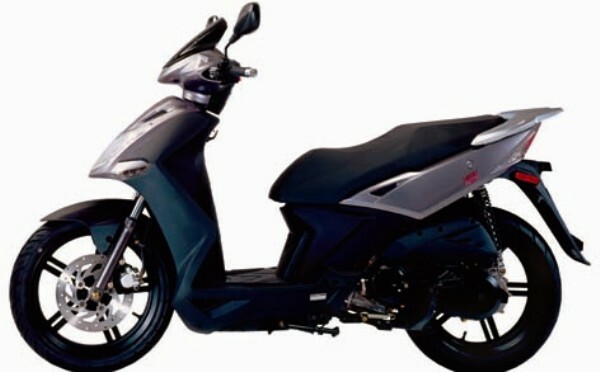 The City is quick of the mark, perfect for riding in city traffic and it has a restricted top speed of 30mph. 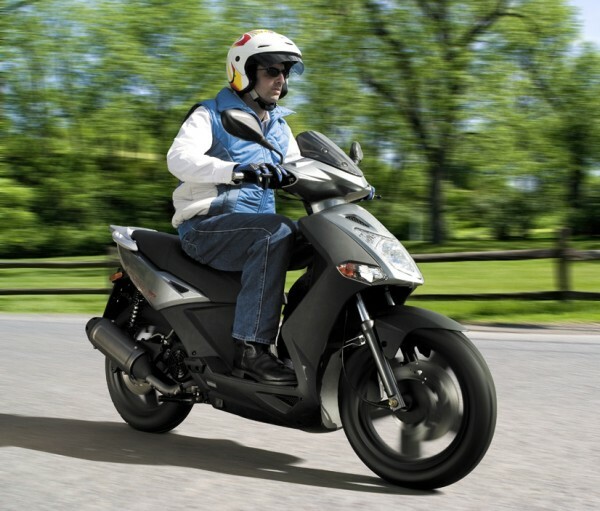 A seat height of 840mm ensures the rider can easily place their feet on the ground making it ideal for both male and female riders. 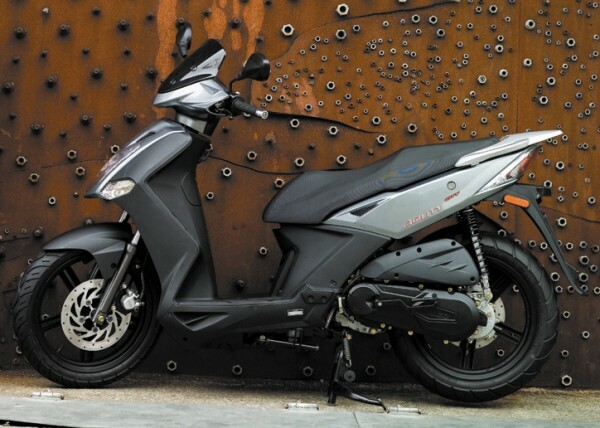 Pillions are well catered for, decent rear foot pegs and a grab rail, so you can share your journey with a friend if the mood takes you. 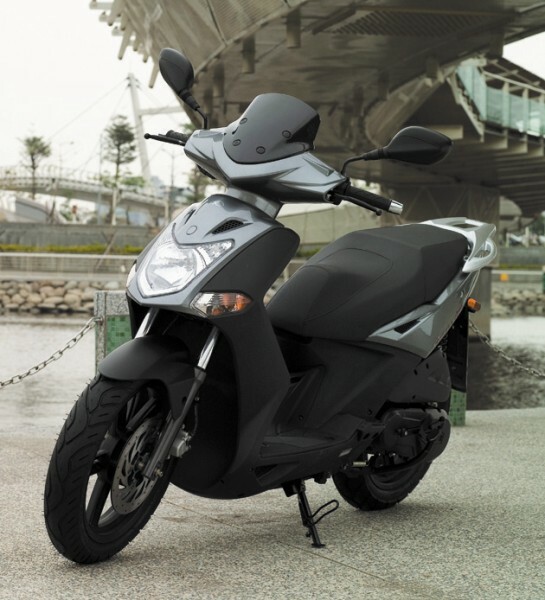 KYMCO are running a fantastic insurance offer on this and other bikes, including roadside assistance and full claims service 24/7 for only £99 any age, any area. 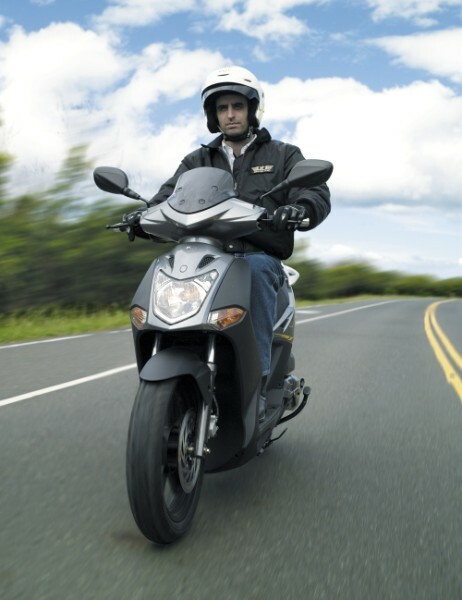 The Agility City 50 comes with a 2-year unlimited mileage manufacturer’s warranty.